Anyone following Pope Benedict's papacy has heard about his attempts to heal the split with the schismatic traditionalist group, Society of Pius X. That split took place in the 20th century. But Benedict is now reaching out to reconcile with a much older schismatic group. In the fourth century, a certain group of Christians broke away from the Catholic Church after the Council of Chalcedon declared Jesus as both fully human and fully divine. This split was the origin of the Oriental Orthodoxy. 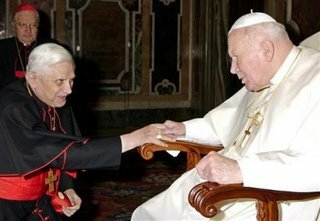 The theological differences were resolved under the papacy of John Paul II - now Benedict wants to bring them back into full communion. Vatican Watcher has more on the story. Thank you for this optimistic bit of information. One more step towards reaching a Chriatian unity (and hopefully not uniformity). Please add my email address and blog address to your list. 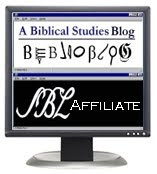 I am interested in similar topics and would like to be updated when you post new blogs. Do you know what is the status of the Coptic Church and the Ethiopian Orthodox Church in their relation to the RCC ?